You’ve got questions, we’ve got answers. Look through our frequently asked questions below to find the information you are looking for. How do I use "My Trip" to plan my vacation? Using the Wildwoods Trip Builder is easy once you get the hang of it. 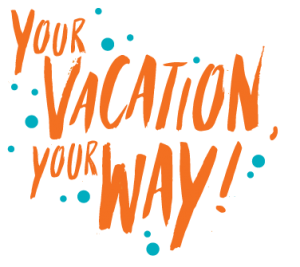 Start by selecting your trip duration in the “My Trip” menu and click “submit.” If you are planning on staying over, visit the Places To Stay search page to select your accommodations. Find where you want to stay and click on the flag icon to add it to your trip. Next visit any of the Plan A Vacation pages to search for fun Events, Things To Do, Places To Eat, Places to Explore or Places to Golf. Click on the flags on any of the search results in the pages to add those activities to your trip. Please note that any events you select must take place during your previously identified trip duration window. You can click on “My Trip” at any time to review or modify your selection. When you think you have your trip all picked out, click the teal “View My Trip” button to see your completed trip. Don’t worry, you can always come back and edit your trip later. Do we need beach tags in the Wildwoods? There are no beach fees in the Wildwoods. No glass containers, barbecues or alcohol. Beach access is restricted 10 pm to 6 am from May through September. When are the parking meters turned on? Pets are allowed on beaches from October to May but are not allowed on the Boardwalk at any time. There are Dog Beaches at Glenwood Avenue in Wildwood and 24th Avenue in North Wildwood. Are there any "pet-friendly" hotels and motels in the Wildwoods? For a complete list of all pet-friendly accommodations please visit the Plan A Vacation tab on our website and click on Places To Stay. Then click the box marked ‘Pets Allowed’. An entire list of all properties that allow pets will be listed. Is there any admission fee into the Wildwoods? All activities in the Wildwoods are separate entities; that is, there is no “admission fee” into the island or boardwalk. Once there, however, patrons will pay to partake in any activities, rides, eateries, etc. Where is surfing permitted on the Wildwoods beaches? Wildwood: Permitted at Andrews Avenue. How much do the amusements and waterparks cost? When are there fireworks in the Wildwoods? When do the stores on the boardwalk open for the season? All of the businesses along the boardwalk are privately owned and operated. They are all at liberty to make their own opening dates/hours. Most of the businesses on the boardwalk will not be open full-time until Memorial Day. Does the Wildwoods Convention Center or the boardwalk have wheelchairs to rent? The Wildwoods Convention Center and boardwalk do not supply wheelchairs. Contact the Wildwood Rental Supply at 609-522-2724. Is there handicap assistance to the beach available in the Wildwoods? Yes. Please contact your respective beach patrol for handicap access to the beach: Wildwood, 609-522-8258; Wildwood Crest, 609-522-3825; North Wildwood, 609-522-7500. Is bicycling permitted on the Wildwoods boardwalk? Bicycles are allowed on the boardwalk until noon daily. When do the tramcars start operating for the season? Tramcars will be running on weekends beginning the first weekend in May. Tram cars start running full-time around Memorial Day. Call the Sightseer Tram Car office at 609-523-8726 for up to date information. When does the Wildwoods close for the season? Where can I find real time updates about the Wildwoods? Find the Wildwoods on Facebook, Instagram and Twitter. All are updated regularly. Is the Wildwoods App free? Yes! The WildwoodsNJ app is completely free and a great way to stay connected via your mobile device. Search ‘WildwoodsNJ’ in the app store to find us! Has the Wildwoods been greatly affected by recent hurricanes and tropical storms? Thankfully, no. The Wildwoods has proven to be super resilient against Mother Nature (knock wood). We have not been affected by recent storms and have remained completely intact and unhindered. Is the Wildwoods kid friendly? The Wildwoods was named one of the ‘25 Best Family Beach Vacations to Take with the Kids in the USA’ by TripAdvisor. Bring the whole family – we have something for everyone 😊.